RAMSI held a private memorial service on 23 September 2014 for former Special Coordinator Graeme Wilson. Graeme Wilson was the Australian High Commissioner to South Africa when he died peacefully at his residence in Pretoria on 2 September 2014 after a short illness. He had previously served as the Special Coordinator for RAMSI from 2009 – 2011. During his time as Special Coordinator, Graeme helped to assist Solomon Islands become a more secure, economically robust and confident nation. Graeme also worked tirelessly to support talented, underprivileged and unemployed youth in the Solomons. Graeme was a dedicated and talented sportsmen. He was a great supporter and ambassador for Australian Rules Football wherever he went. As part of his enduring legacy he established the sport here in Solomon Islands. You can read the Special Coordinator’s eulogy that was delivered at the service here. 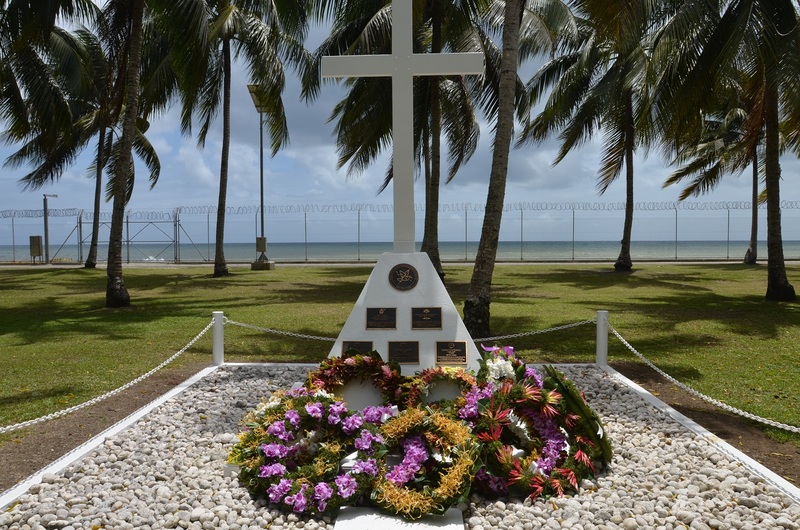 You can read the Solomon Islands Minister for Foreign Affair’s eulogy that was delivered at the service here. You can read the Australian High Commissioner’s eulogy that was delivered at the service here. You can view photos from the service in our galleries here.